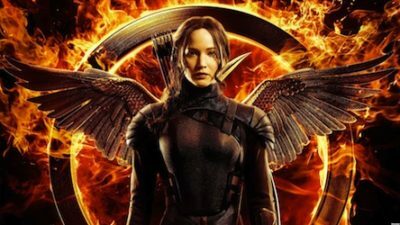 Hunger Games is based on a trilogy by Suzanne Collins which includes the books The Hunger Games, Mockingjay, and Catching Fire. 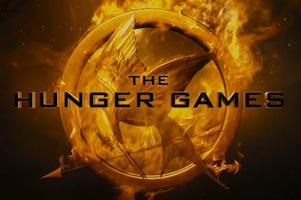 Katniss Everdeen wears her red fiery red dress in the opening ceremonies in the first instalment of the Hunger Games. Katniss, played by Jennifer Lawrence stuns the crowd in her simple asymmetrical red dress with flame-like embellishments on one shoulder. She lights up the screen and wows the crowd. Her stylish Cinna played by Lenny Kravitz in the film designs the outfit for Katniss. She rides into the arena on a chariot with Peeta and their chariot lights up on fire and the second time she is interviewed by Ceaser Flikermin. She wore her red dress and twirled and the bottom hem of her dress lit up on fire and her dress was on fire. From there people called her ‘The Girl Is On Fire’. 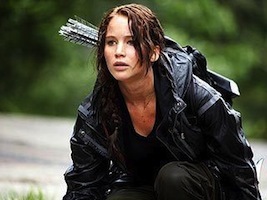 You can dress up and look like Katniss Everdeen in the Hunger Games for Halloween too. Her simple and elegant red dress is easy to find and replicate. You might need to add some embellishments yourself to make it look like it’s on fire. Here are some red dress costume ideas to help you look like Jennifer Lawrence in Hunger Games. 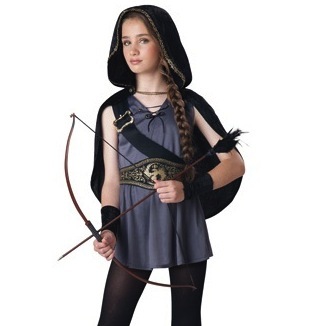 Click here for more Katniss costume ideas. Beautiful red gown with ruffles to look like Katniss catching fire dress. You don’t want to wear a dress on fire for real because you might get hurt. The ruffles do look very beautiful. 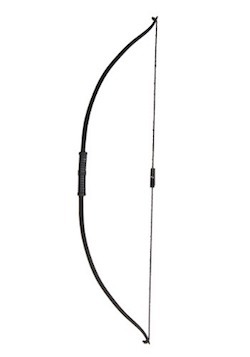 The Hunger Games Katniss Quiver to help you not only win at the games, but also complete your skilled archer look. 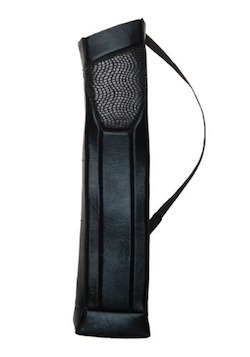 The black foam quiver has a Velcro shoulder strap and is officially licensed by District 12. May the odds be forever in your favor!